Parent and Tot- (Ages 2 and up) This class starts off in September having a parent accompany the student to class. This class explores concepts of music and movement. This fun and engaging 30 minute class is a great way to socialize your young dancers as well as engage them in some cross lateral development, gross motor and fine motor exercises that are great for cognitive and physical development. Tumble Tots- (Ages 2-3) This 30 minute class is also accompanied by a parent and helps your fearless toddler filter energy in a fun and interactive class focusing on coordination, balance and fun! Join us for Music, Mats and Motion! PD I (Pre-Dance I- Ages 3-4) This 45 minute class is divided into ballet and tap dance. Beginner techniques and terminology is introduced as a foundation for future dance studies. These fun and engaging classes have the primary focus on cultivating a love for dance and music. Dancers enrolled perform both a ballet and tap routine for the June recital. PD II ( Pre-Dance II Ages 4-6) This hour class is divided into 3 sections of ballet, tap and jazz dance. This high energy and fun class explores 3 whole disciples on dance. Dancers enrolled in this class will be in 2 routines of the instructor's choice in the June recital. Boys Class-(Ages 6+) This class takes principals of ballet, leaps and turns and floor acro to create and hone the fearless boys and make dynamic dancers! This fast-paced and high energy class challenges your dancer in many ways specific to the male dancer's anatomy and interests. Ballet- At Unbound Dance Academy we believe that ballet is the foundation of all dance forms. Ballet builds technique, stretch, strength, balance, discipline and focus that is needed for progress in all other dance forms. While ballet is not required to enroll in other dance disciplines, it is strongly encouraged. Pointe- ***3-year minimum of ballet training and teacher recommendation required*** Pointe classes are determined by a student's strength and physical development, not by age. Taking 2 additional ballet classes are required to be enrolled in any pointe class. Jazz- Jazz classes explore traditional, broadway and contemporary styles in a fun, energetic atmosphere. Classes begin with a warm-up which stresses technique, flexibility, coordination and strength. Warm-up is followed by progressions across the floor, then center work and combinations. Lyrical- A subcategory of jazz genre, lyrical dance incorporates ballet and modern dance techniques, various jazz styles and an emotional connection to the music. Classes infuse these 3 genres through choreography. Must be enrolled in one ballet class to register. Modern- Miss Stephanie combines the techniques of Horton and Cunningham to create strong and athletic dancers. These techniques stress long lines and isolations that build strength as well as flexibility. Technique is studied as well as an emphasis on dance improvisation. Choreography concepts and principals are also introduced. Ballet is required to enroll in any modern class. Tap- These classes focus on rhythm, musicality and timing. All classes begin with warm-up and progress to across the floor exercises and center floor combinations. As students develop and advance, elements of improvisation will also be explored. 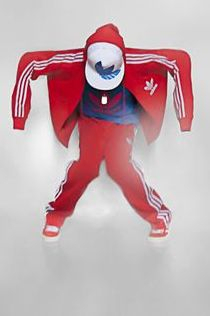 Hip-Hop- These classes focus on rhythm, syncopation and isolations. Derived from funk and street jazz, these classes will be high energy and focus on complex rhythms. Southern, West Coast and East Coast styles will all be explored. Musical Theater- This broadway style jazz class, focuses not just on dancing, but explores concepts of theater staging and blocking. Students have fun dancing to great show tunes. Great for the drama student as well as the serious dancer. Acro- These classes explore and teach balance, strength, concentration, muscle control and articulation of the skeletal and muscular systems. This class is for students looking to enhance their flexibly, strength and agility through acrobatics.